These are photographs of middle-class kitchens in rural India. They are not sleek and nor are they modern kitchens, not by a long shot, but by village standards they are good. The kitchens may not be designer kitchens and the owners may not be rich, but they are well-off. Their houses have small rooms and are untidy, but their kitchens are neat and well stocked in terms of electronic and consumer goods, even if they are not well designed. The kitchens were the most impressive part of their rather small, dark houses, though design is not given importance. These houses were in very small villages by our Indian standards. 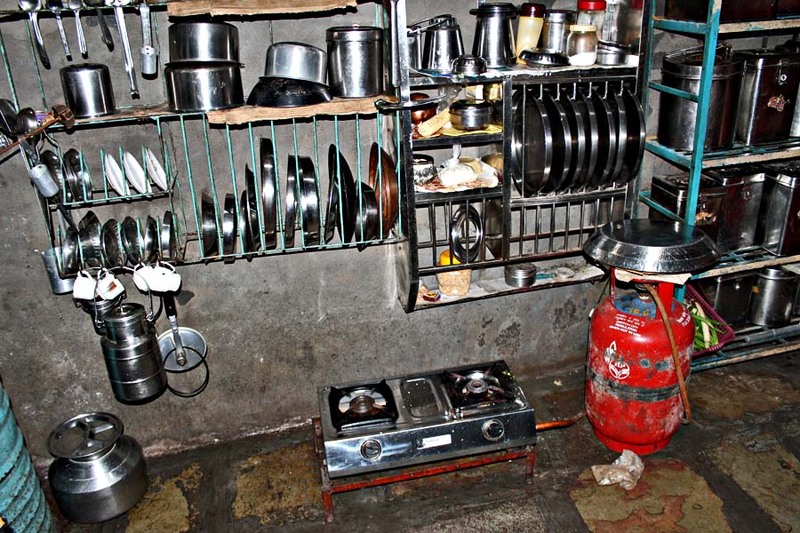 Stainless steel utensils, plastic jars, large aluminium boxes, a small refrigerator on the right and a gas stove. The kitchen counter is small. A large jar from an electric mixer can be seen on the shelf. In most Indian kitchens there is a place for a mandir or temple. The idols and photographs of deities can be seen to the right of picture. Two pictures have been combined in the picture below. Another kitchen, but without a kitchen counter. Kitchen is neat and well equipped and the gas stove and gas cylinder is on the floor. 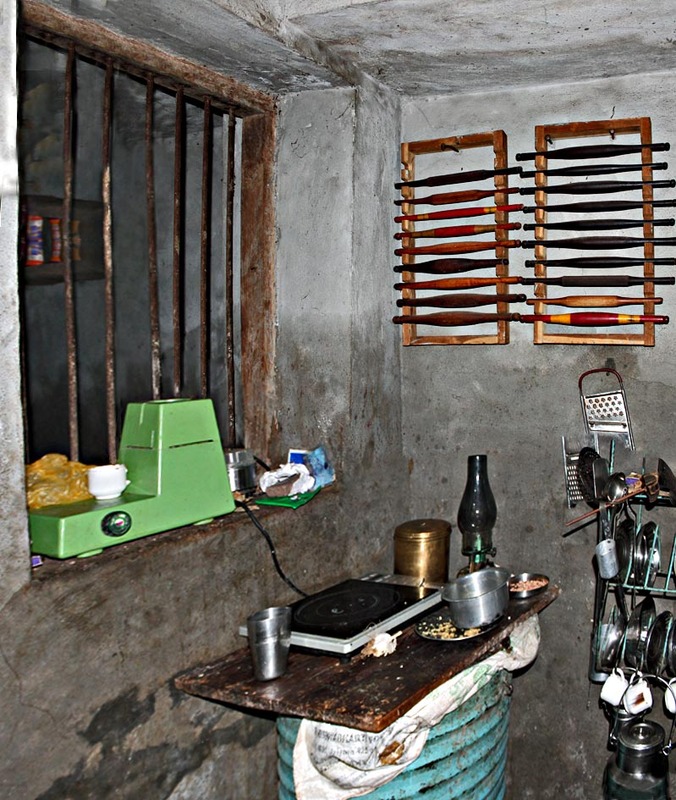 A makeshift table in the kitchen which contains an electric plate for cooking. An electric mixer can be see on the windown sill. What is interesting is the wide array of belans or rolling pins which are used to roll different types of dough. A lot of snacks as well as different types of flat breads are a part of the Indian diet and a different types of rolling pins are frequently used. This kitchen seems particularly well equipped with the colourful and smart belans or rolling pins adorning the wall. 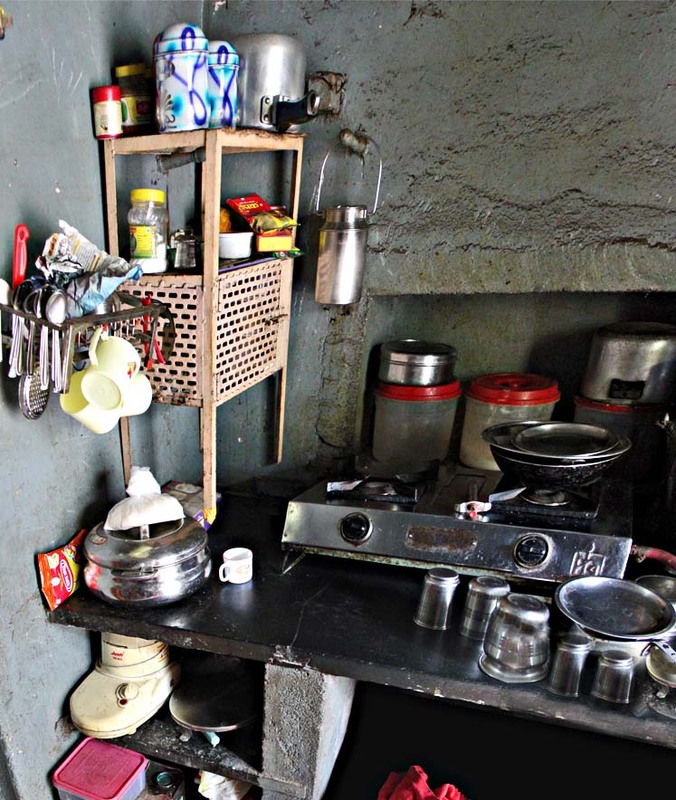 A kitchen corner showing the kitchen counter with a gas stove and utensils. 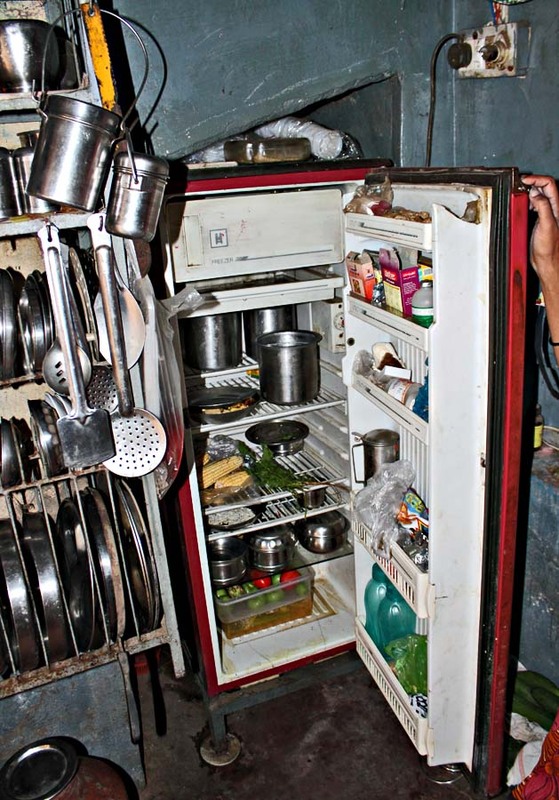 The inside of a fridge in the house of a typical rural woman's kitchen. Refrigerators usually contain milk and milk products mostly. For pictures of Indian Rural life including its people check out the label "Rural India" or any of the other labels below this post. Or check out Religious homes in India. 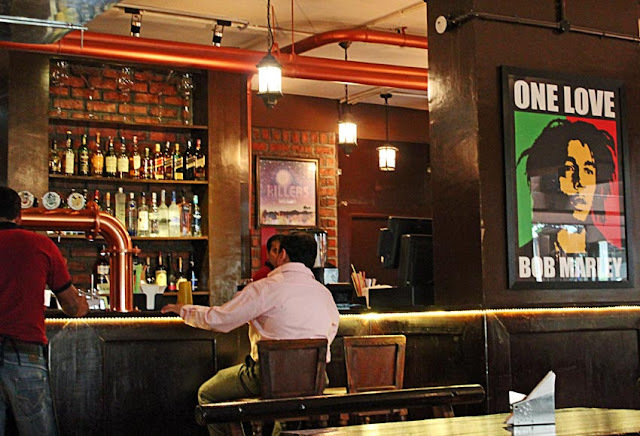 A pub called Toits in Bangalore. 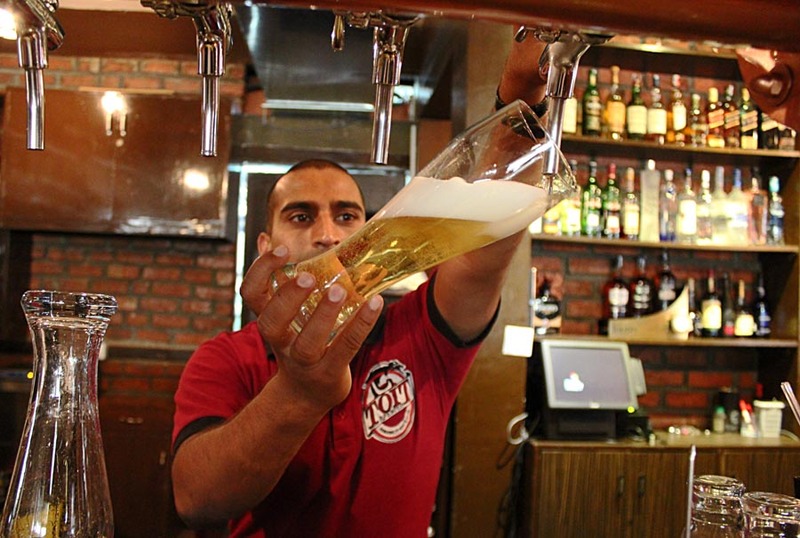 This picture shows the row of alcohol bottles stacked on a shelf behind the bar. A customer is sitting on a bar chair. A closeup of a bartender dispensing freshly brewed beer for a customer. 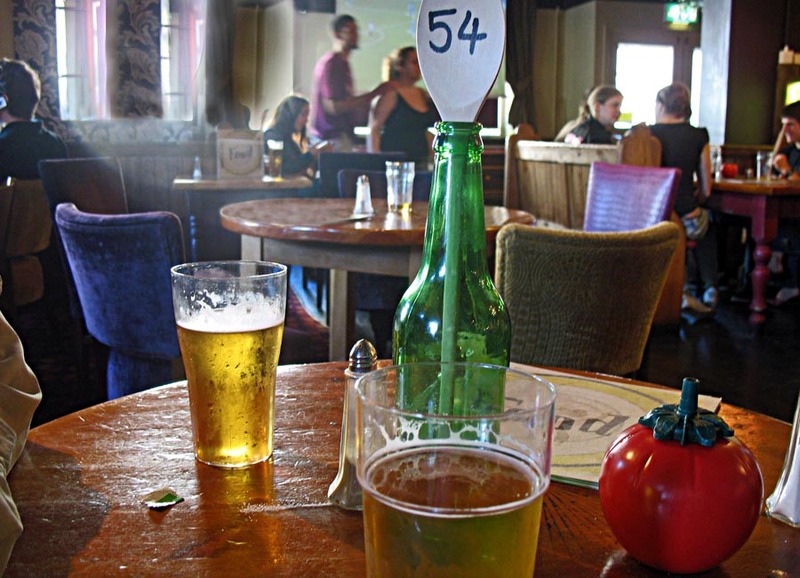 This is a photograph of a pub in Bangor, Wales, in the United Kingdom. Mostly crowded with youngsters the bar serves delicious eats too. A bar serving alcohol in Goa, India. 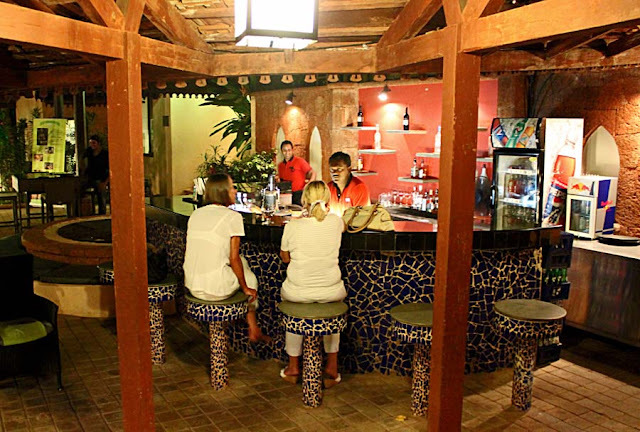 Two women customers are sitting at the bar.